Happy Father's Day weekend to all of you Dads who are great role models, coaches, supporters, listeners, leaders, buddies, snugglers, readers, wrestlers, comforters, and most importantly teachers to our children. This little guy wants to be just like his farmer and engineer daddy one day! 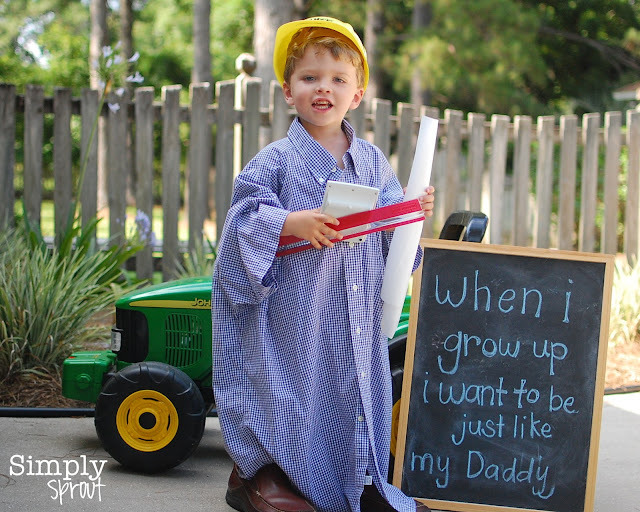 I sure hope he's a good daddy like his daddy too!